It was very convenient for me that I got the opportunity to test and review a “Cold-Dripper” called “Dripster” here in the blog – and to test the resulting cold drip coffee both purely and in a mixed drink. But first I should perhaps briefly explain what these terms are all about. 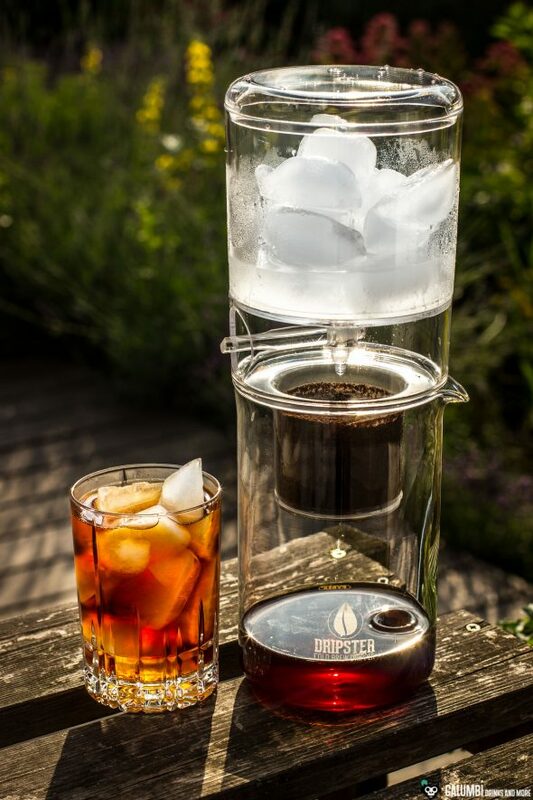 And I really do mean “briefly” since there are entire forums, blogs and books on the subject of cold brew and cold drip out there that deal with this topic on a very different scale. Especially in the USA, these forms of coffee preparation have reached the centre of society and specialized coffee bars are springing up like mushrooms from the ground. A cold brew is made by mixing coarsely ground coffee powder with unheated water and letting it steep for about a day or longer before filtering the coffee powder out again. However, this method is not to be mistaken for the cold drip method, where cold water drips slowly through freshly ground coffee powder over hours, thus absorbing the coffee’s aromas particularly intensively and gently at the same time. The result is very aromatic in taste (also or especially compared to the less aromatic cold brew process), is regarded as more digestible than brewed coffee and emphasizes fruity and chocolaty nuances in the coffee. Since Dutch business travellers allegedly invented this method of preparation, it is also known as “Dutch Coffee”. And it is exactly this cold drip preparation that the Dripster is all about. For a long time Cold Dripper were not necessarily cheap, which led to a particular number of people having to buy expensive devices or even to make their own cold dripper. Fortunately, this supply shortage is now over, which is in part thanks also to the Hamburg supplier Tradena, which produces the Dripster. The Dripster is a cold dripper made of glass and plastic, which has a built-in filter sieve and a small valve for adjusting the drip speed, which is quite practical and allows more freedom in the preparation of personal cold drip coffee. If required, ice cubes can also be filled into the water container, which can be an advantage when using it outside the refrigerator. I’ve tested the Dripster with a 100% Arabica coffee (Café Intención Ecológico) and was very pleased with the result. In fact, in direct comparison to the brewed variant, the more fruity tones are particularly apparent, but roasted aromas, subtle cocoa and spices can also be found. The Dripster therefore fulfils its purpose more than well and also other results can be achieved using different drip speeds (you’ll have to try around). 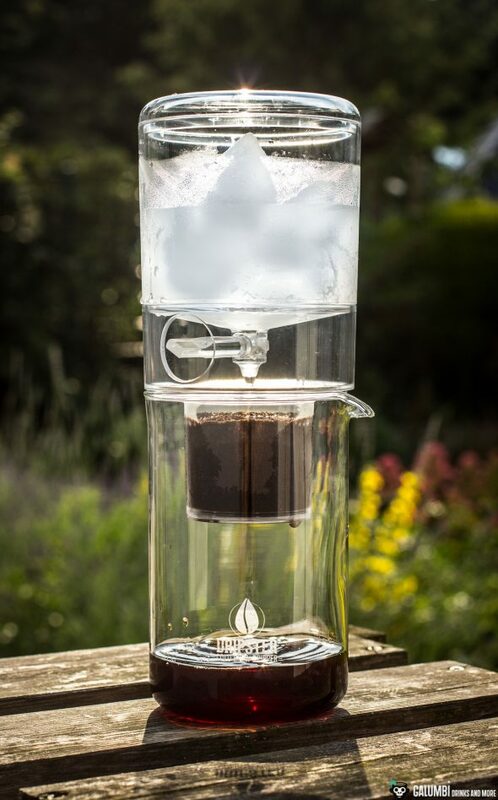 An especially slowly prepared cold drip often functions as a concentrate anyway, which can be diluted even further with water before consumption (also due to the rather high caffeine content). 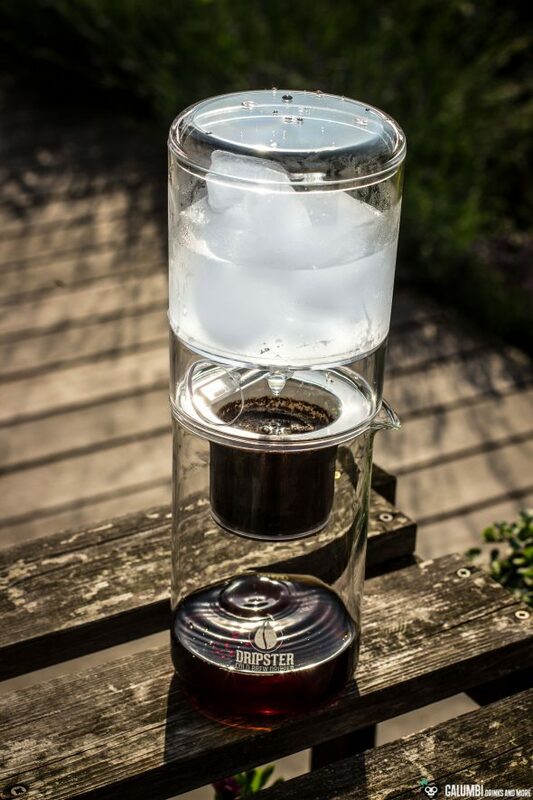 For a price around 50 Euros, the Dripster is a clear buying recommendation for all coffee lovers who also want to tackle the topic of cold drip. Now I don’t operate a blog about coffee here, so I’ll present a cocktail made with some cold drip coffee (more will follow here in the future). 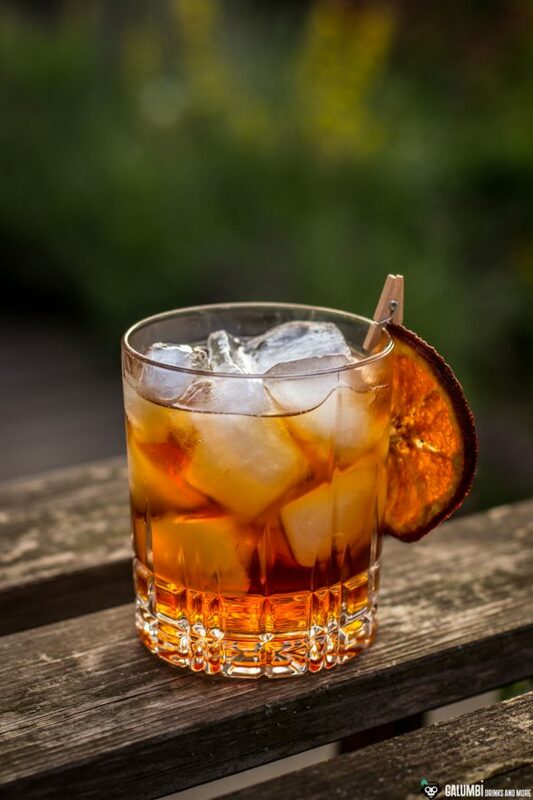 It is an adaptation of the “Cold Brew Fashioned” by Timon Kaufmann from Standl 20 in Munich, about which the Mixology magazine published a small article in the year of its invention (2015). 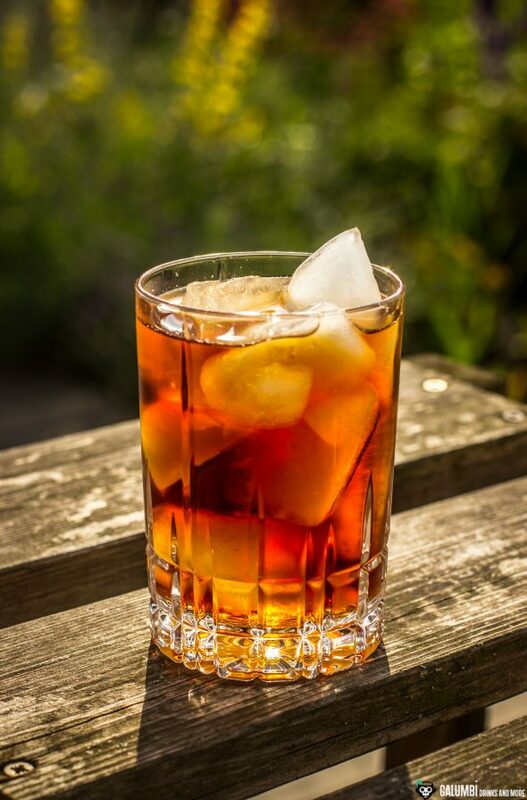 But as the name of the drink unmistakably tells, the Cold Brew Fashioned is prepared with Cold Brew and not with Cold Drip, so I simply made it into a “Cold Drip Fashioned”, but otherwise followed the recipe. The result is really great and very aromatic, especially because of the still more aromatic characteristic of a cold drip compared to a cold brew. As a base rum I opted for the very beautiful, vanilla-and-oak-heavy Plantation Black Cask N° 3, which harmonizes very well with the Cold Drip coffee. 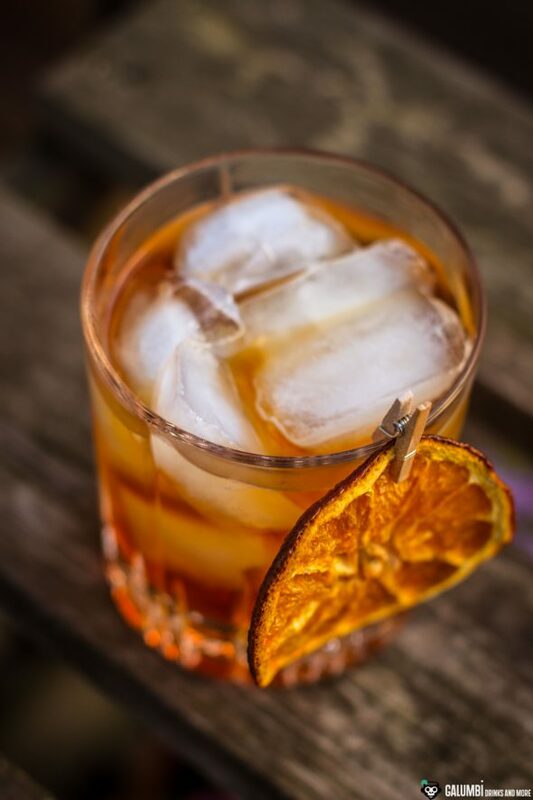 A great cocktail for any season! Preparation: Stir all ingredients until cold in a mixing glass filled with ice cubes, then pour into a glass filled with fresh ice cubes. 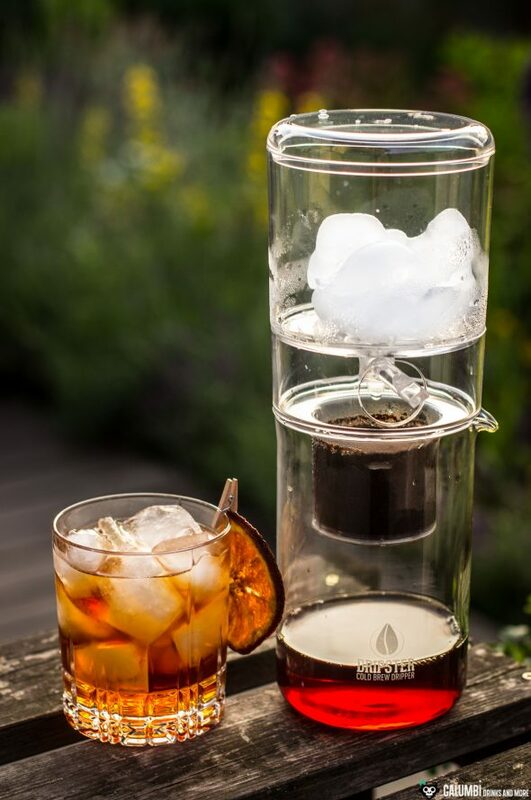 In addition to the use of cold drip coffee as a cocktail ingredient, another very interesting use of a cold dripper such as the Dripster is also possible: The cold drip aromatization of spirits. I will discuss this topic in another article in the near future. Buying sources: the Dripster can easily be ordered online.